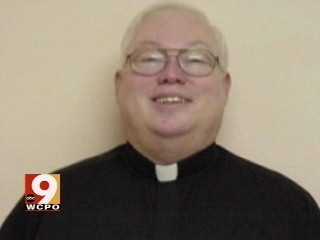 A Northern Kentucky priest has been placed on leave following charges of sexual abuse. Parishioners at St.John's in Covington were in a reflective mood as they prepared for mass this morning. Bishop Roger Foys explained to parishioners at the church that there is a credible allegation of sexual abuse that is currently being investigated. The Diocese of Covington placed Father Douglas Fortner, pastor of St. John Church in Covington, on administrative leave earlier this week. Bishop Foys has placed the priest on administrative leave pending the results of the church's investigation. Church policy requires Fortner to be on leave until an outcome is determined. The allegation stems from incidents more than 25 years ago. Frondorf says the time table of the allegation is not surprising to him. "It doesn't come out until people reach middle age," Dan Frondorf, Frondorf, of SNAP, or Survivors' Network of those Abused by Priests. told 9News. "I didn't tell anybody what happened to me until I was 37-years-old." 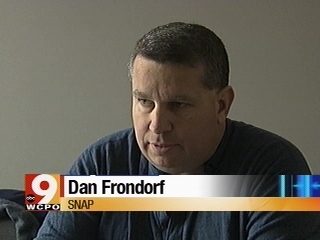 "The most important thing, beyond the healing, is to warn others that a perpetrator could be out there preying against children or vulnerable adults," said Frondorf. This survivor of priest abuse says it is the fellowship with others through the Voice of the Faithful that continues to encourage him. "Often times victims won't come forward until they are comfortable with the fact that they aren't the only ones," Frondorf said. "By bringing it forward, they can find the support they need to heal," she said. While members of St. John would not comment, Frondorf urges caution through this test of faith. 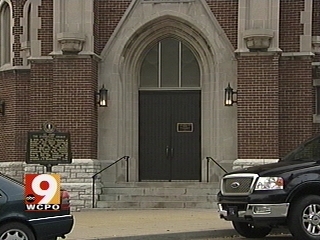 The Covington Diocese says the allegation did not originate at St. John's though. "I would urge everybody to pray for the priest and the victim and for all the parties involved," said Frondorf. "We have to err on the side on of protecting children. It's too important."